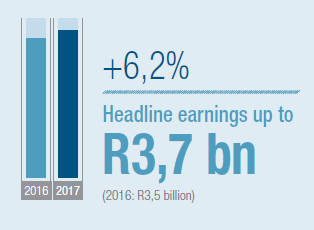 Bidvest has delivered a solid trading result in an exacting market, characterised by a lack of economic growth and declining consumer spend, as well as significant business and political uncertainty. 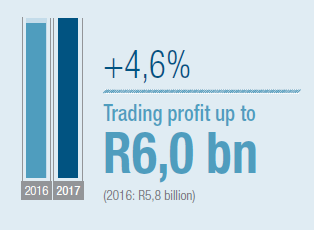 The benefits of a diversified portfolio and the quality of the underlying businesses are evident in the performance of the South African trading operations where five of Bidvest's seven divisions, as well as Bidvest Properties, delivered growth in trading profit. 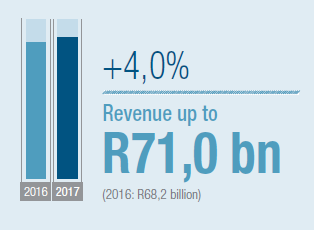 The Automotive division, while not growing profits, managed to perform ahead of a very challenging market. Exceptional cost discipline and driving down the cost of doing business helped to support growth in most of the businesses that faced deflationary pressure. Copyright © 2017 The Bidvest Group Limited. All Rights Reserved.